Is there really such thing as a boat that can wakeboard, surf, AND ski? Many people are skeptical that one boat can simply do it all. 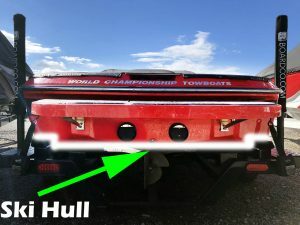 If you look at the boats designed for skiing, they have a drastically different running surface than the boats designed for wakesurfing. How can you make a boat that’s fun to ski behind and surf behind? There are two ways that boat manufacturers are making boats that can both ski and surf well. Surf / Ski / Wakeboard – One Boat – 5 Minutes! Comments Off on Surf / Ski / Wakeboard – One Boat – 5 Minutes! In this post we have a video that we shot doing something we have never seen done before. We are showing you the surf wave, wakeboard wake and ski wake behind the same boat – all in one take; completely unedited, untouched and shot on an iPhone7. 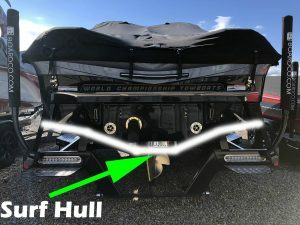 This hopefully shows you the performance of the new Opti-V hull as well as the speed and versatility of the Ramfill ballast system. -The ski wake with one driver, no passenger, and no ballast. Typically these are shots of the skier outside the wake and never showing the skier going through the wakes. -A different set of shots of the wakeboard wake with 8 passengers, full ballast and a pro rider with camera angles designed to make it look bigger and cleaner.